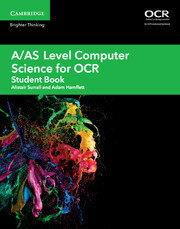 A complete digital teaching and learning package tailored specifically to the new OCR and Eduqas A/AS A Level specifications for Computer Science, for first examination from 2017. 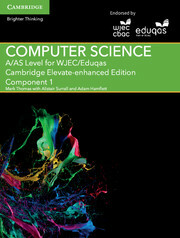 Including an Elevate enhanced edition for students with a digital subscription for each year of the course. 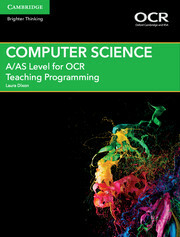 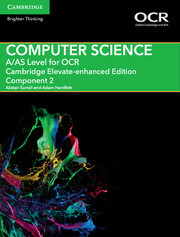 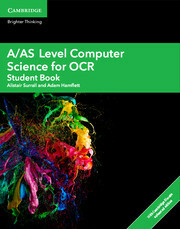 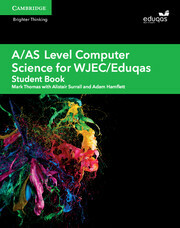 Mapping specifically to the specification content and assessment objectives, and including extra materials such as extension questions and rich digital content, this resource allows students to track their progress and puts computer science into a professional context, highlighting how computing skills apply to the real-world. 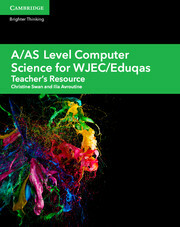 A range of supporting resources are also available, including a free Teacher’s Resource and a Teaching Programming resource.